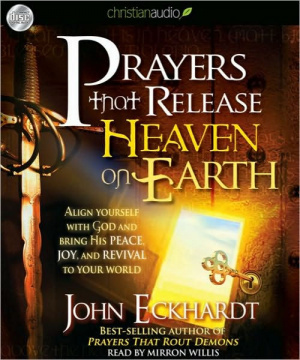 Prayers That Release Heaven by John Eckhardt is an audio book. The book encourages listeners to find out how God will establish his kingdom by examining the Old Testament and passages that write the nearness of Christ's return. The Book will inspire listeners by powerful prayers and declarations to keep your heart and mind focused on the will of God, revealing God's plan for filling the earth with righteousness. Running Time = 3.1 Hours; Unabridged. 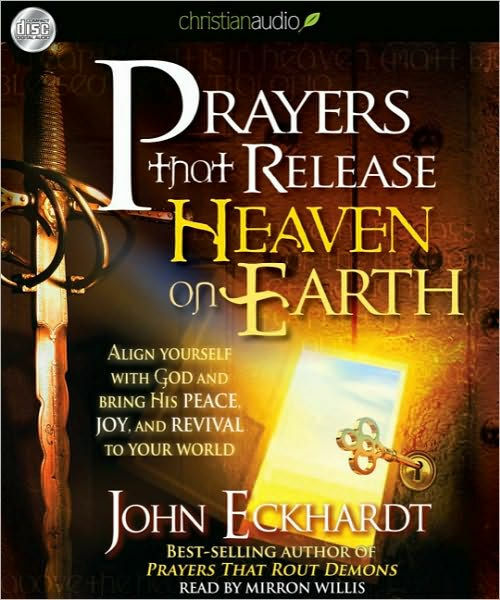 Prayers That Release Heaven Audio Book on CD by John Eckhardt was published by Hovel Audio in May 2010 and is our 22858th best seller. The ISBN for Prayers That Release Heaven Audio Book on CD is 9781596449244. Be the first to review Prayers That Release Heaven Audio Book on CD! Got a question? No problem! Just click here to ask us about Prayers That Release Heaven Audio Book on CD.